The largest IT trade show on earth will take place from March 2 through 6 in Hannover, Germany. The Deutsche Messe organization that runs the trade show initiated Open Source as a theme focus for the first time in 2009, and the surge of visitors into a constantly packed hall exceeded all expectations. It's clear that Open Source will play a major role again at CeBIT in 2010. As an incentive, the theme will get a prominent new location in Hall 2, where exhibitors, the Open Source Forum and the Open Source Project Lounge will find a new home. As in 2009, commercial enterprises as well as free projects will have the opportunity to present their work to the general public. 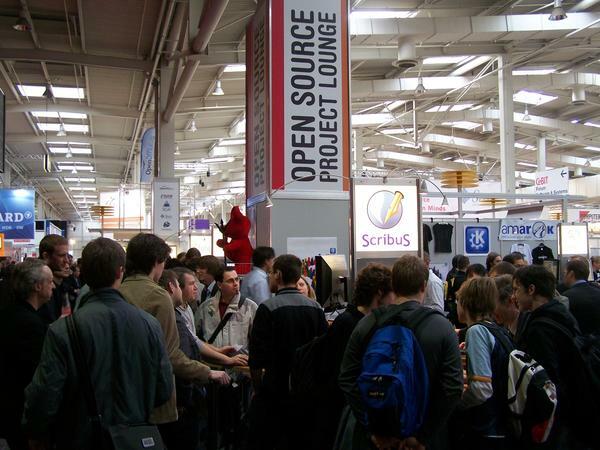 The CeBIT Open Source Project Lounge was one of the prime visitor magnets at the largest IT trade show on earth in 2009. Linux Pro Magazine together with Deutsche Messe are now looking for projects who want to present their work at CeBIT Open Source 2010. An international jury of open source experts will decide which projects get the free exhibit space. Any open source project can apply as of now. Noncommercial projects with possible software applications in the industry will get especially high consideration. Interested projects can find further details in the participation requirements and registration. The "Call for Projects" will run from now until latest November 20, 2009. The application forms are available on the Linux Pro Magazine webpage. Aside from exhibit space, the winning projects will have the opportunity to present their work to a worldwide audience in Linux Pro Magazine. The award jury comprising international open source experts will decide on winners until the end of November, at which time the selected projects will be announced in Linux Pro Magazine.